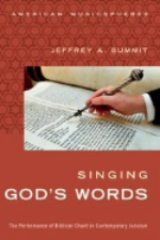 Singing God’s Words is the first in-depth study of the experience and meaning of chanting or “reading” Torah among contemporary American Jews. This experience has been transformed dramatically in recent years by the impact of digital technology, feminism, the empowerment of lay people and a search for self-fulfillment through involvement with community. At a time when worshippers seek deeper spiritual experience, many Jews have found new meaning in the experience of reading Torah, an act that is broadly accessible to Jewish adults even as it requires intensive immersion with the text of the Bible in Hebrew. Rabbi Jeffrey A. Summit, Ph.D.
Jeffrey A. Summit, Ph.D. holds the appointment of Research Professor in the Department of Music and in the Judaic Studies program at Tufts University, where he also serves as rabbi and Neubauer Executive Director of Tufts Hillel. He is the author of Singing God’s Words: The Performance of Biblical Chant in Contemporary Judaism (Oxford University Press) and The Lord’s Song in a Strange Land: Music and Identity in Contemporary Jewish Worship (Oxford University Press). His CD Abayudaya: Music from the Jewish People of Uganda (Smithsonian Folkways Recordings) was nominated for a GRAMMY award. His CD with video Delicious Peace: Coffee, Music and Interfaith Harmony in Uganda (Smithsonian Folkways Recordings) was awarded Best World Music CD by the Independent Music Awards. Together with the leadership of the Abayudaya community in Uganda, he founded and runs the “Abayudaya College Scholarship Project,” which has raised and administered funds to send more than 40 students to colleges and universities in Uganda from 2001-present. In conjunction with his work as Executive Director of Tufts Hillel, he runs the Cummings/Hillel Program for Holocaust and Genocide Education and was one of the founders of IMAGe (Tufts Initiative on Mass Atrocity and Genocide). His research focuses on music and identity, music and spiritual experience, music and advocacy, and the impact of technology on the transmission of tradition. Dr. Mark Slobin is the Winslow-Kaplan Professor of Music Emeritus at Wesleyan University and the author or editor of many books, on Afghanistan and Central Asia, eastern European Jewish music, film music, and ethnomusicology theory, two of which have received the ASCAP-Deems Taylor Award: Fiddler on the Move: Exploring the Klezmer World and Tenement Songs: Popular Music of the Jewish Immigrants. His current project is on the musical life of Detroit, 1940s-60s. 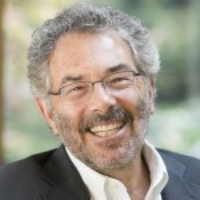 Cantor Richard Cohn became Director of the Debbie Friedman School of Sacred Music in July of 2015, following thirty-four years of service to Reform communities. He was most recently Cantor of Temple Emanu-El in Dallas, Texas, where he helped integrate traditional and contemporary aspects of congregational life. He has been vibrantly involved in worship transformation, and he has had an innovative impact on Jewish choral music as a conductor, arranger and composer. Cantor Cohn was president of the American Conference of Cantors (ACC), the professional organization of the Reform cantorate. He is also involved in the work of the Institute for Jewish Spirituality (IJS), which seeks to cultivate practices of contemplative Judaism as portals to spiritual growth. He was a member of the IJS Prayer Project Working Group and has taken particular interest in the integration of spiritual practice with areas of prayer, music and education.